JOHNNY CASH: AMERICAN III: SOLITARY MAN: 2000: 4 1/2 STARS: i had forgotten it had been four years between the second American recording and the third. In this installment Johnny covers- Tom Petty, Neil Diamond, U2, Nick Cave, David Allan Coe, Will Oldham and four JC originals. He takes well known songs- and somehow makes them his own. Johnny won the Best Male Country Vocal Performance for Solitary Man. 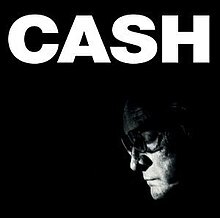 JOHNNY CASH: AMERICAN IV: THE MAN COMES AROUND: 2002: 4 1/2 STARS OUT OF 5 STARS: The last Johnny Cash album released during his lifetime. His version of Trent Reznor’s Hurt still blows me away- and the video is just as powerful- one of the best videos ever. More interesting choices- Personal Jesus- from Depeche Mode, i Hung My Head- Sting, In My Life- The Beatles, Bridge Over Troubled Water- Paul Simon, Wichita Lineman, Hank Williams, The Eagles, Marty Robbins. VAN MORRISON: MOONDANCE: 1970: 5 STARS OUT OF 5 STARS: Van’s most accessible album and a commercial success-whereas the brilliant Astral Weeks didn’t even make the Top 100 albums in the US. Every song on this is outstanding- if I had to take a Mount Rushmore of Greatest Songs on this album- how about Into The Mystic/ Caravan/ And It Stoned Me/ Brand New Day. Brand New Day…when I first heard it I automatically thought…this must have been a hit…but no it wasn’t. And It Stoned Me is way up there in my favorite Morrison songs. Van could have been much bigger and I have read where he turned down a TV special and other things. Which really didn’t suit him anyway. I wonder if he ever cared one way or another? I don’t think he has ever worried about such things as hits. I don’t think he cared much at all after miming to Brown Eyed Girl. That seem to put him against it or not care. Cash’s version of ‘Solitary Man’ was played on an episode of Stargate: Atlantis. Wow I would have never known that- that’s pretty cool.